A British woman who died in the terror attack in Tunisia has been named as Sally Adey. She is among 23 people now thought to have been killed on Wednesday in an attack on the Bardo museum in Tunis, the Tunisian capital. 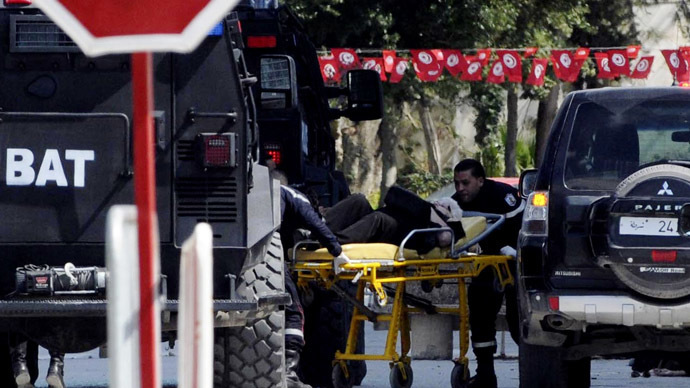 The death toll includes 18 foreign tourists, Tunisia's health minister Said Aidi has said. Cameron told the BBC: “We have to fight it with everything we have: whether that is taking the poison out of young minds here in Britain, whether it is working with intelligence, policing and security services in other countries around the world, dealing decisively in the areas of the world from which these problems come. Foreign Secretary Philip Hammond, who is in Kenya, confirmed a British woman was a victim in the terrorist attack. He said in a statement: “Consular staff are providing assistance to her family. My thoughts are with them at this very difficult time. The Tunisian people are rightly proud of their democratic transition. The other victims include three Japanese, four Italians, two Colombians, two Spaniards, an Australian, a Pole and a French national, Tunisian Prime Minister Essid said. Two Tunisians – a bus driver and a policeman – also died in the attack, as well as two gunmen, who have been identified as Yassine Laabidi and Hatem Khachnaoui. At least 44 people were wounded.